This course has been aimed at how to win at cash games, and this is the area you should get experienced in first before moving on to tournaments. Tournaments are the glamorous side of Poker, where you can beat a field of hundreds or thousands of players and win a prize of many times your buy in. It is the format that all the big championships are run in, such as the World Series of Poker. It’s very different to the grind of cash games, although of course the odds are longer to actually win any money. This section is just a quick introduction to tournaments, the different types of tournament, and the differences in strategy you need to use in a tournament situation. This is a kind of mini tournament. A Sit and Go tournament will usually have between 5 and 20 entrants at varying stake levels. 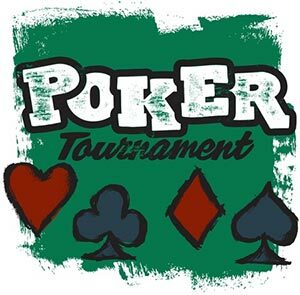 To enter a sit and go tournament all the entrants pay the buy in, so for a $5 sit and go tournament all entrants would pay $5 to enter the tournament (plus a small rake fee payable to the poker room). This entrance fee then creates the prize pool, so if it was a 5 entrants – $5 sit and go then there would be a prize pool of $25. Payout structure varies but in general these tournaments will either pay the first 2 places or the first 3 places, so in this example the payout structure may be $17.50 to 1st place and $7.50 to 2nd place. When the tournament begins each player will start with a stack of chips. Again this will vary, but most common will be a stack of 1000, 1500 or 2000 chips. When a player loses all his chips, then they are eliminated from the tournament. The blinds will start off at a small level such as small blind 15, big blind 30 or similar. At regular intervals through the tournament the blind levels will increase in stages (25/50, 50/100, 100/200 etc). The period of the blind increase intervals will be based on either number of hands e.g. every 15 hands, or a time interval e.g. every 5 minutes. You will also find a type of sit and go called a “Turbo”, this is just the same but the interval between the blind increases is shorter, so that the time taken to complete the tournament is shorter. The tournament continues until one player has won all the chips, and all the other players have been eliminated. The big multi-table tournaments can have any number of entrants, and usually range from a few hundred to a few thousand. Due to the number of entrants the prize pool will also be a lot higher, and again will vary significantly from a few thousand dollars to $1million+. The number of places paid will also be higher and will typically range from the top 20 to the top 100 places depending on the number of entrants. The format is similar to a sit and go tournament however a multi-table tournament will take a lot longer to complete and typically will take between 3 – 6 hours to complete, usually with a 5 minute break every hour. During the tournament you may be moved from one table to another as players get eliminated, or you may get new players moved to the table you are playing at. Therefore you will be playing against different players at various stages in the tournament. Satellite tournaments can take place in the form of a sit and go tournament or a multi-table tournament. The only difference with a satellite tournament is that the prize is not a cash prize, but instead will be entrance to a bigger stake tournament. For example a $5 stake Satellite tournament may offer the prize of free entrance into a $100 stake multi-table tournament. Satellite tournaments are most common for the big stake tournaments with the big prizes. These tournaments may not be accessible to most players because the stake required to enter them is too high, so these satellite tournaments give these players the opportunity to get into these tournaments for a smaller stake. Satellites are also available for the prestigious big live poker tournaments such s the World Series of Poker, The World Poker Tour, European Poker Tour etc, where you can win a $10k+ seat at these big prize tournaments for as little as a few dollars. There are significant differences in the strategy you need to adopt in a tournament versus the strategy you have learned in this course for cash games. Starting hand requirement – you have to loosen your starting hand requirements as the blind levels increase otherwise you will run out of chips. Reading Players – this is a harder task on multi-table tournaments as you are regularly playing against new people at your table, or being moved to another table full of new players, so you constantly have to re-assess new players in order to read them. Short handed tables – tables with less than 10 players require a different style of strategy with more frantic and aggressive plays such as bluffs. Advanced Plays – as the blind levels increase more advanced plays such as Stealing the Blinds becomes increasingly important, and learning to defend against other players using these advanced plays is also very important. By all means try a small stake sit and go or multi-table tournament to get an idea of what they are, but for now stick to the cash games, where you have learned a very solid strategy in this course and if you have followed this course fully and practised at every stage we have sent you to the tables, you should already be a better player than 95% of the players you will come across. With time and experience you can increase that percentage to 98 -99% and even 100% if you are really ambitious and skilled. Once you are ready to move on to incorporating Tournament play into your game, then check back here for our Tournament Strategy Course, and you can become a winning tournament player as well as a winning cash game player. Congratulations, you have now completed all the learning lessons in this course. But there are a couple of things left to complete. One is the end of course exam which you can sit in the next and final lesson, but we also need to complete the final stage of the Poker Bankroll Challenge and reach the target of $1,000 from your initial stake of $25. The twelfth and final stage of the bankroll challenge is below and it is by far the largest stage of them all. This may take some time to achieve for some of you, or it may be achieved much quicker, but if you put the effort in, like you have throughout this course so far, you are very close to having a bankroll of $1,000 and the financial backing to continue to move up the medium stake levels and onto the higher stakes. On average we estimate that it should take you about 10 sessions to reach your target, but you may complete it much quicker. Take regular breaks in your sessions and keep refreshed. If you get tired then finish your session and restart it another time when you are more awake. Time to Up the Stakes! We are again going to move up the stake levels to the 25c/50c tables which moves you away from the lowest stakes and onto medium stakes tables. The major difference at this stake level is that your bankroll will now build very fast. If the cards are going right for you then it is not inconceivable that you may hit your target for this stage in a matter of a few hours table play. We are now moving into the more advanced stake levels and this final stage will give you valuable experience at this higher stake level, from which you hopefully will have the confidence to continue to increase your stakes levels after this course as you feel comfortable to do so and as your growing bankroll will support. At these stake levels, there will once again be an increase in the number of knowledgeable players you face, of course mixed in with the fish that are just simply swimming out of their depth! A word of warning however, in the same way your bankroll can build fast it can also drop fast if you stray from your strategy. If you take a bad beat and your bankroll drops a bit, then don’t panic, just stick with your strategy and stick to playing Tight – Aggressive and wait for the opportunity to build your bankroll back up. If need be you can always drop back to one of the previous stages until you build your bankroll back up to the level required again. Once you have built your bankroll up to $1,000 then congratulations, that really is some achievement from when you started this course with only $25. Your poker game is now good enough to compete with the pro’s and you can now setup your home on the medium and higher stakes tables. You have earned your right to be there and now have the bankroll and strategy to enable you to compete there on a permanent basis. Don’t forget to drop us a line and let us know that you have done it, we love to hear the success stories from our community, it makes us all warm and tingly inside! Also don’t forget to sit the end of course exam in the next and final lesson. This is where you bring everything you have learnt together. You should be comfortable with all the subjects you have learnt about during the course and they should be starting to become second nature so you can now start to concentrate on the bigger picture rather than one particular area. Go get em - That $1,000 target is in sight - Good Luck!